The Republican Party of today has shifted from the once hardline stance of continue to hold possession of marijuana as a criminal offense, with both President Trump and the Texas GOP now officially endorsing the decriminalization of marijuana. This major move towards prosperity in the state of Texas, and the shifting ideological perspectives across the entire nation, seemingly promoting the ideals of both the legalization of medicinal marijuana for patients who desperately need the treatment, and the decriminalization of possession of the <i>plant</i>, which will cut down on the enormous overcrowding costs of prisons, county jails, and city holding facilities. Many are applauding this decision, as it both provides a new means of potential cost-savings for the state of Texas if legislation were to be changed; and a means of bringing a potential new income through the possible future taxation and regulation of marijuana from the federal government. 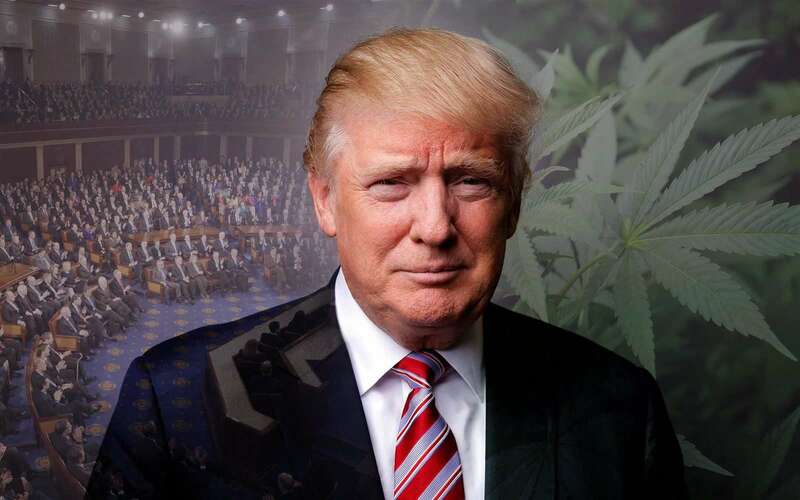 If<a href="https://thegoldwater.com/news/28177-President-Trump-to-Likely-Sign-Bill-Ending-the-Federal-Ban-on-Marijuana"> President Trump signs the bill ending the federal ban on marijuana</a>, it provides each state their own ability to legislate surrounding the plant, with those where recreational usages are currently legal being free of prosecution dependent upon what rulings are in place. For other states, such as many in the South, you can currently be imprisoned for a year for tiny increments of marijuana, which is preposterous even to those who are against decriminalization. "What this demonstrates is that even the most conservative Texans among us are starting to look at new approaches to cannabis and starting to educate themselves about the fact that prohibition has failed," says Heather Fazio, coalition coordinator with Texans for Responsible Marijuana Policy. "This is a medicine for many people." The GOP taking such a stance on marijuana, especially in the state of Texas, is a sign that today's Republicans are the voice of the everyday people, putting a nail in the coffin of the age-old belief that Democrats represented the free thinkers of America. We're certainly seeing support for Republicans increase across the board, and policies such as this will bring about an entirely new potential for the GOP as its currently being reshaped into the party of Trump, one in which represents all Americans across the board. With a new batch of faces among the 2019 Legislature in Texas, there are ongoing efforts to support decriminalization in the state, and now even the official stance of the Texas Republican Party is in favor of this move. "Having the conversation here at the convention, that's going to help us keep up the momentum that we've earned over the last several years," Fazio says. "Having the position of decriminalizing the possession of small amounts of marijuana as an official plank in the Republican Party of Texas platform is going to help us tremendously with earning the support of lawmakers." It should also cut out the needless time consumption from law enforcement in handling matters of marijuana-related crimes, and benefit the local taxpayers by clearing out the additional room in county jails and state prisons to place instead the dangerous illegal aliens flooding across the border. "One thing I've noticed as a lawyer with about 10 years experience in the criminal justice system is just how many resources go into the arrests and prosecutions of these [marijuana] cases," Jason Hunter said. "It takes away resources from enforcement against crimes against persons and property and takes away from a vital role of the government to protect from those who would hurt our people." This is an astounding victory for Texas, a victory for Republicans, a victory for Trump; <i>and a victory for the people</i>. the libertarian party is teaching conservatives how to be conservative. until ronny raygun hijacked the party platform it USED to mean LESS GOVERNMENT. that means control over our own bodies…. but this is something that Obummer should have done long ago because it's the #1 reason for black arrests and incarceration. it's quite ironic that trump is going to trump the liberal on this issue. I think it's Wonderful News! It's long Over Due! I think it's a good first step, but limiting the use of cannabis oil to only epilepsy patients, and only the use of low-THC cannabidiol oil is defeating the purpose of the oil. The small amount a person needs to ingest to cure any number of ailments, would not give the "high" effect that politicians are concerned about. American grown is the best, Trump may have just put American weed in play in the global market, man that guy is a genius. If we decriminalize, the world will follow and buy our awesome bud, sweet.